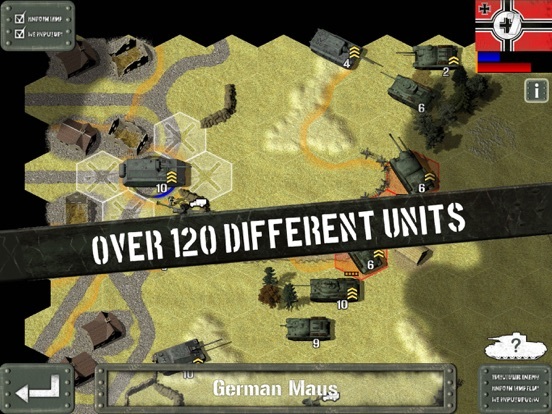 Tank Battle: East Front is an exhilarating turn based strategy game from the creators of Tank Battle: 1944 and Ancient Battle: Rome. 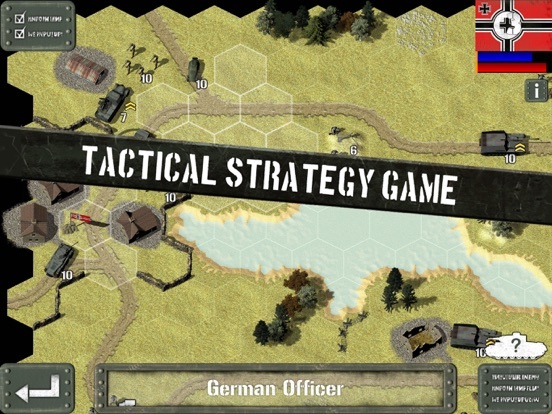 Use hex based tactical combat to dominate foes on the Russian front of the Second World War. 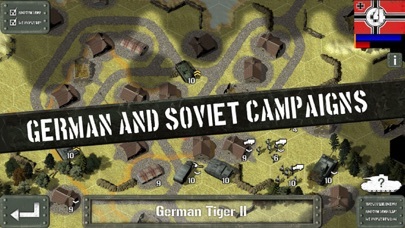 Fight as the Germans or the Soviets in a series of ever more complex missions. 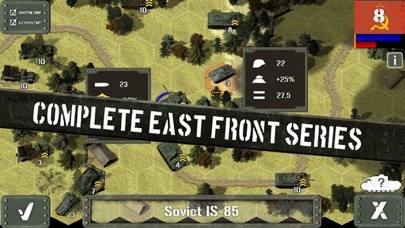 The Eastern front of World War II saw some of the most ferocious fighting, as the Red Army and the Wehrmacht pitted ever more powerful tanks against each other. 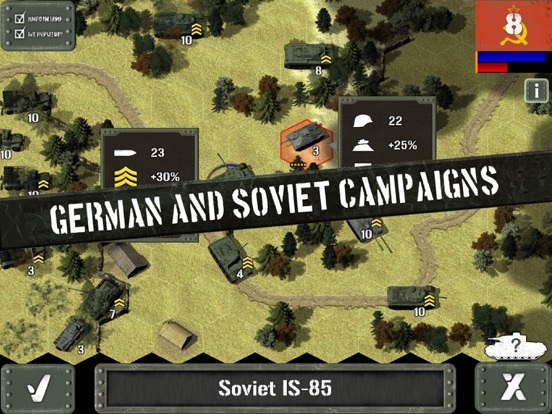 While the early years of the war saw the Soviets struggle to withstand the German Blitzkrieg, the later stages saw the Red Army counter-attack in great force. 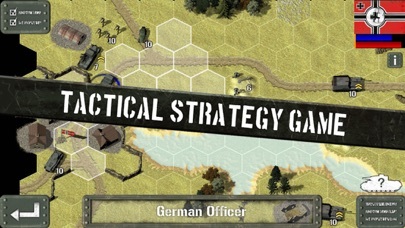 Missions vary from straightforward wipe out the enemy scenarios, to capturing key objectives, to protecting vital supply convoys and constructing bridges to assault the enemy. 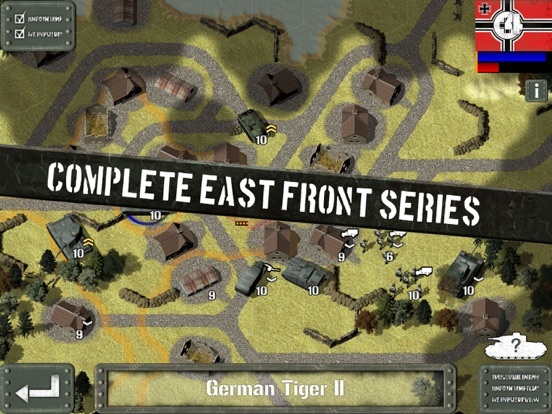 There are a whole range of objectives to reflect the tactical complexity of warfare on the Eastern Front, and conquer your enemy with over 110 historical units. 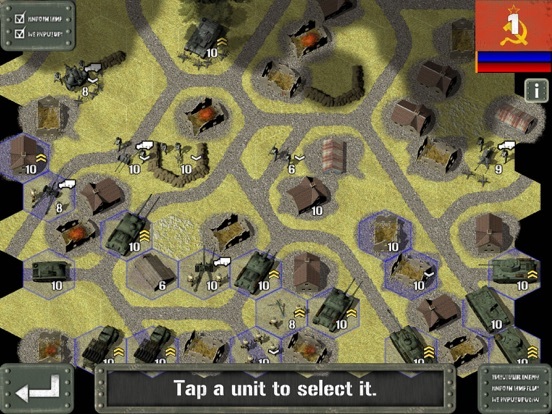 The game system is based on, and a major upgrade of, the successful game engine developed for Tank Battle: North Africa. 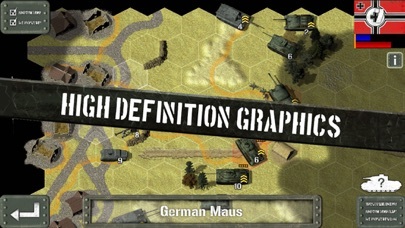 - High Definition World War Two Era Graphics. - 78 different German units; 15cm sFH18, 17cm K18, 20mm FLaK38, 37mm FLaK37, 37mm PaK36, 50mm PaK38, 75mm LefK 16na, 88mm FLaK36, 88mm PaK43-41, 10.5cm LeFH18, Panzerschreck, Elefant, FLaKPz 38 t Gepard, FLaKPz iv Mobelwagen, Flakvierling, 37mm FLaK37 gun emplacement, Panther gun emplacement, Panzer IVH gun emplacement, Hetzer, Hummel, Jagdpanther, Jagdpanzer IV/48, Jagdpanzer IV/70 (V), Jagdtiger, Ju87, Marder I, Marder IIa, Marder IId, Marder III, Marder IIIh, Marder IIIm, Maultier, Maus, Nashorn, Nebelwerfer-41, Nebelwerfer-43, Ostwind, Panther, Panzer 38t, Panzer Ib, Panzer II Flamm, Panzer II Luchs, Panzer IIa, Panzer III flamm, Panzer IIIe, Panzer IIIj, Panzer IIIj1, Panzer IIIl, Panzer IIIn, Panzer IV, Panzer IVf1, Panzer IVf2, Panzer IVh, Panzerjager Ib, Sdk.Fz 4/1 Maultier, Sdk.Fz 7/2, Sdk.Fz 7, Sdk.Fz 10/4, Sdk.Fz 124 Wespe, Sdk.Fz 222, Sdk.Fz 231 6r, Sdk.Fz 232 8r, Sdk.Fz 233, Sdk.Fz 234/1, Sdk.Fz 234/2 Puma, Sdk.Fz 250/1, Sdk.Fz 251, SiG 33, SiG 38tm, SiG Ib, StuG h42, StuG IIIb, StuG IIIf, StuG IIIg, StuG IV, Tiger I, Tiger II, Wirbelwind, Wurfrahmen 40. 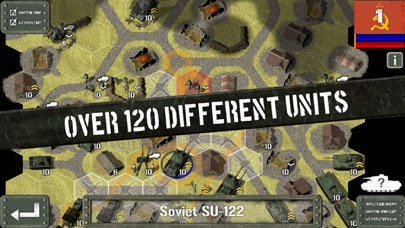 - 34 different Soviet units; 45mm Model 1937, 57mm Model 1943 ZIS2, 76mm model 1942 ZIS3 Artillery, 76mm Model 1942 ZIS3 ATG, 85mm Model 1939, 122mm Model 1938, 152mm Model 1938, BA-10, BA-64, BM-13, BM-31, 100mm BS-3, BT-7, IS-1, IS-2, ISU-122, KV-1, KV-2, KV-8, KV-85, M3a1 Armored Transport, OT-34, Shturmovik, SU-76, SU-85, SU-100, SU-122, SU-152, T26, T34-40, T34-43, T34-85, T60, T70. - Six common units; Flamethrower, HMG, Infantry, Mechanized Infantry, Mortar, Supply Dump, Truck. - Hi-definition summer and winter terrain. - Four troop classes; Raw, Average, Veteran and Elite.